Free Download Flasher Suite 1.0 - Flasher Suite - a Flash developer bundle. 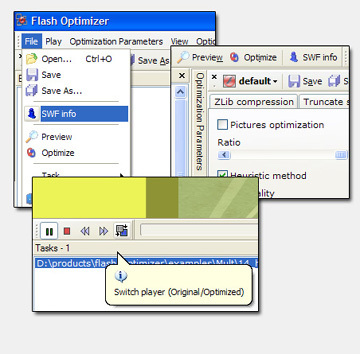 Flash Optimizer 1.41 - Flash Optimizer compresses SWF files by 60-70% without quality loss. Flasher Suite 1.0 - Flasher Suite - The best-selling suite for a professional developer. SWF Live Preview 1.0 - View Flash files' thumbnails using standard Windows Explorer.